RPAS plate lifting anchors consist of steel tube with inner thread which is welded to a flat steel plate and used with threaded lifting keys. RPAS anchors are anchored to concrete with anchor reinforcement. They are suitable for lifting of slabs, plates, tubes and other thin pre-cast concrete elements. RPAS plate lifting inserts are available in two materials, information of which is given in table below. Standard delivery surface finish is black (uncoated) and mild steel. 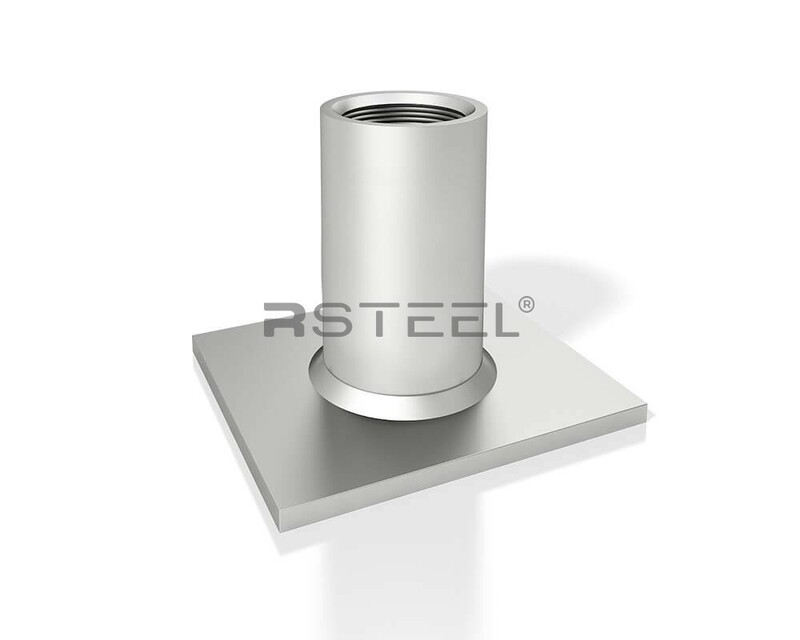 RPAS plate lifting inserts are also available in stainless steel.